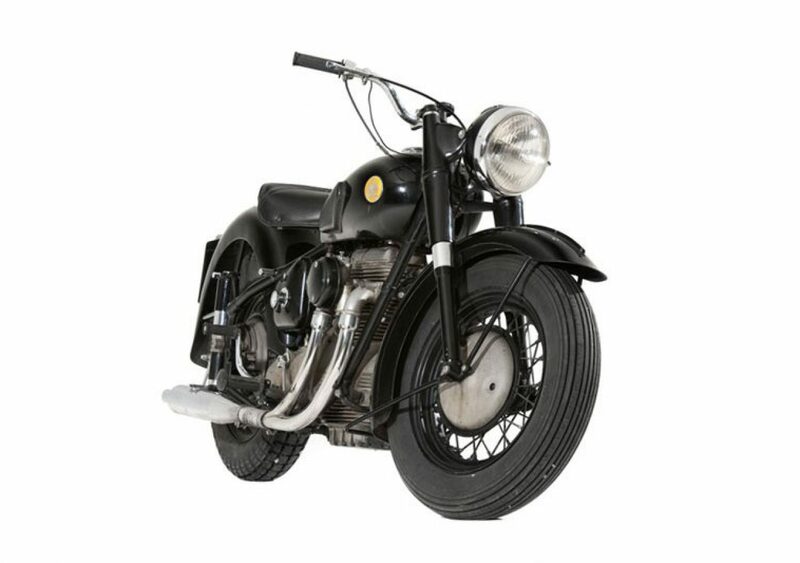 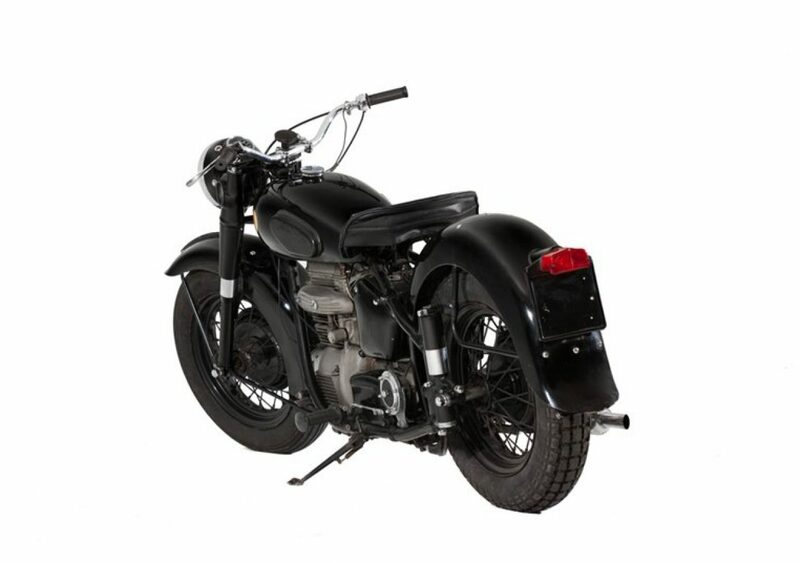 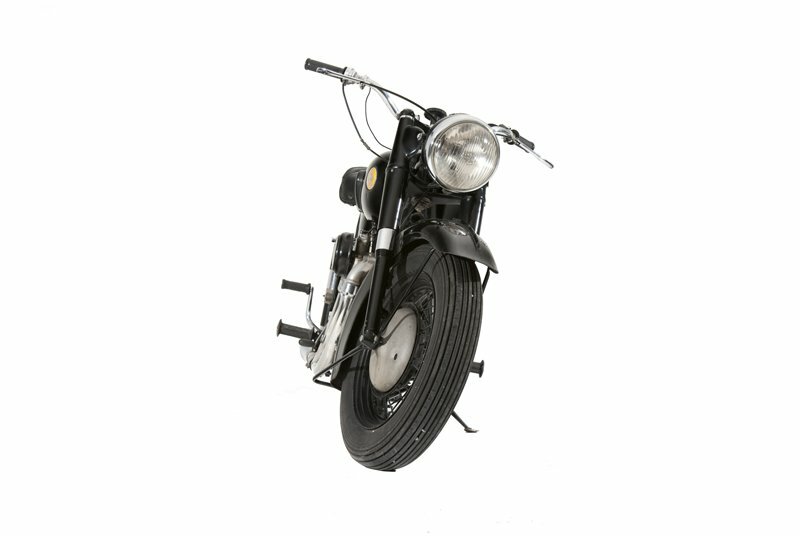 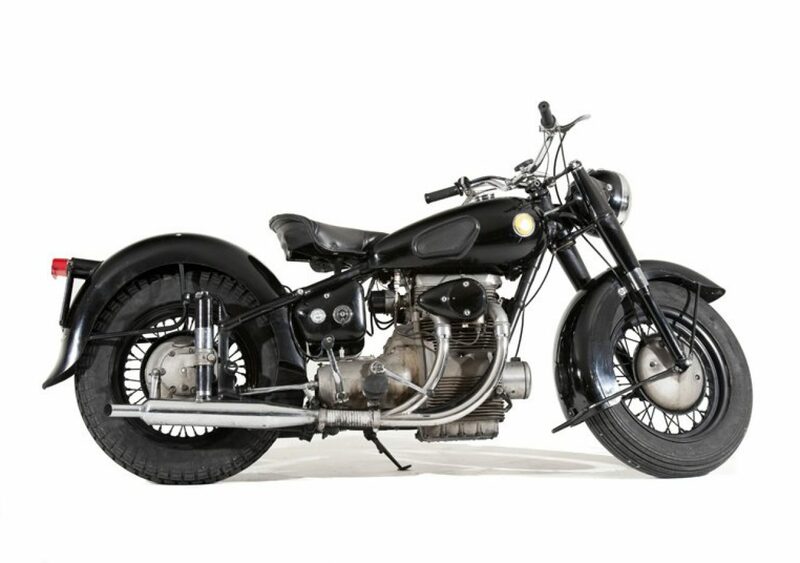 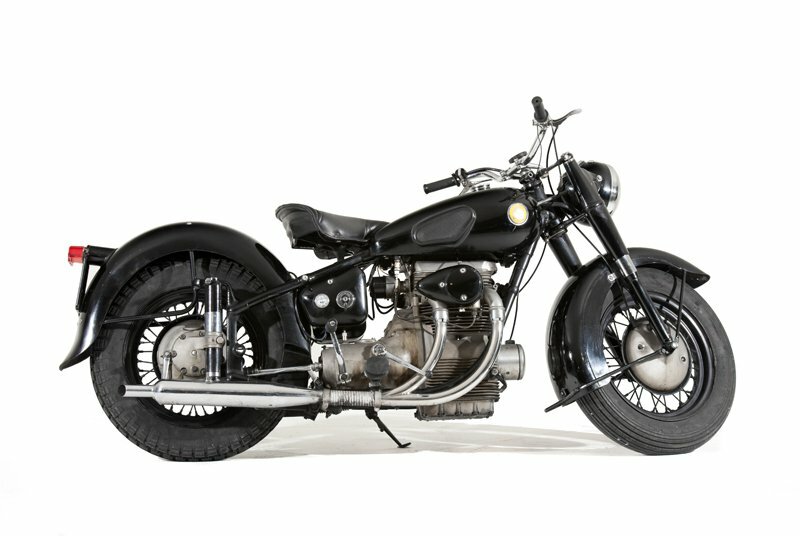 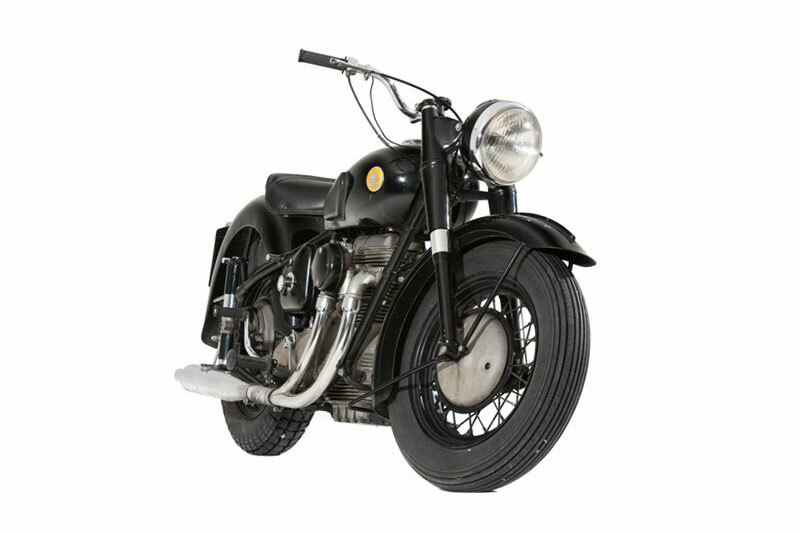 The Sunbeam S7 is British motorcycles designed by Erling Poppe with styling loosely based on the BMW R75 designs that was acquired as war reparations by BSA (full rights to the Sunbeam brand had been acquired from AMC in 1943). 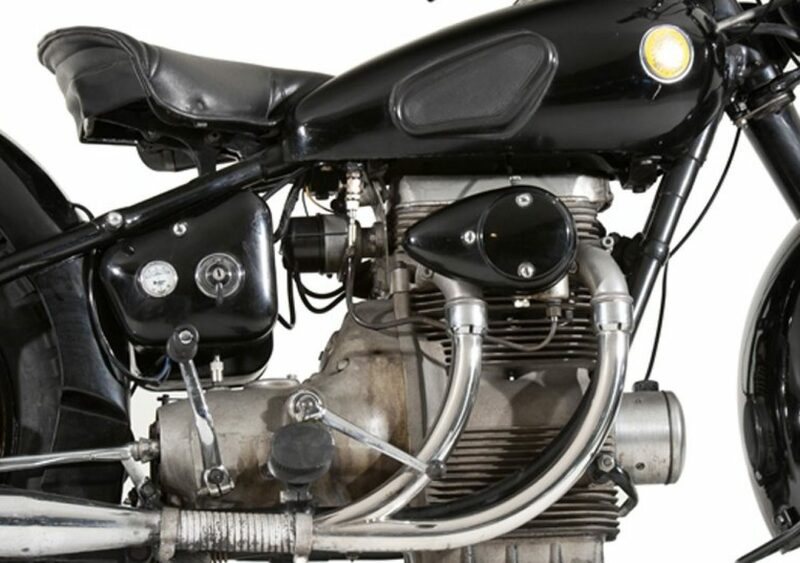 Built in Redditch, the unusual engine layout was similar to that of a car. 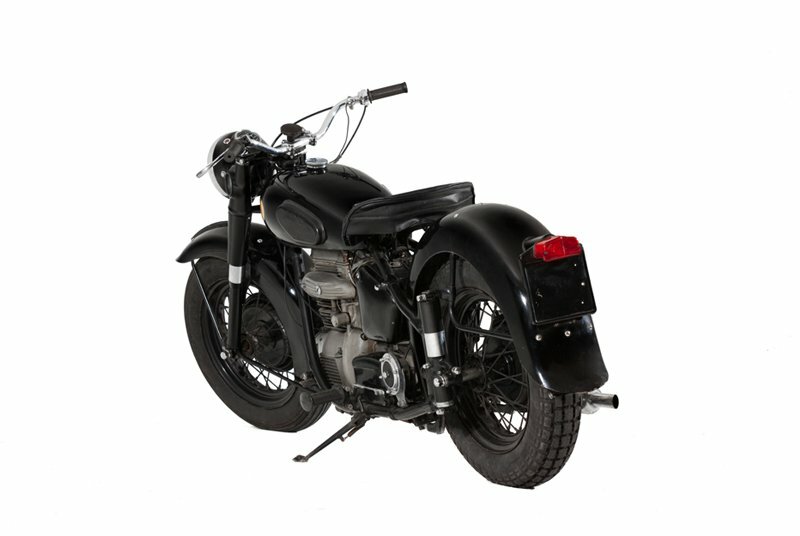 The engine was a longitudinally mounted inline vertical OHC 500 cc twin based on an experimental 1932 BSA design (the Line-Ahead-Twin - LAT) with coil ignition and wet sump lubrication which, though a dry clutch, drove a shaft drive to the rear wheel. 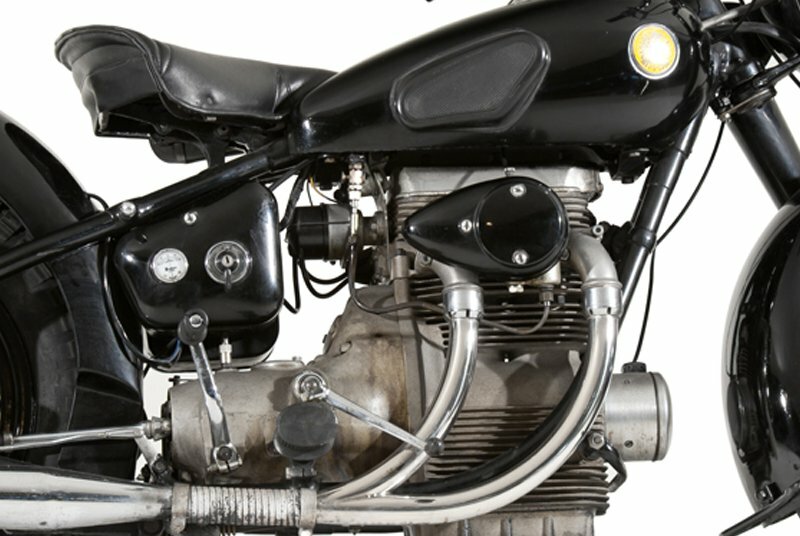 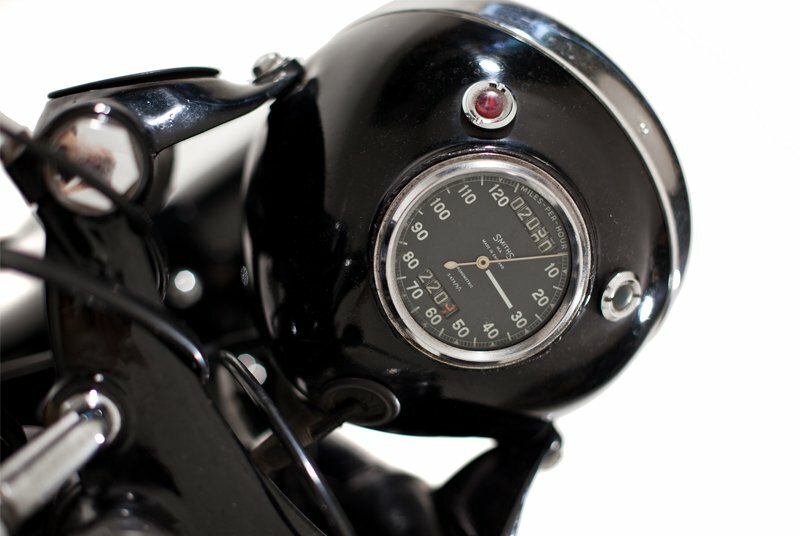 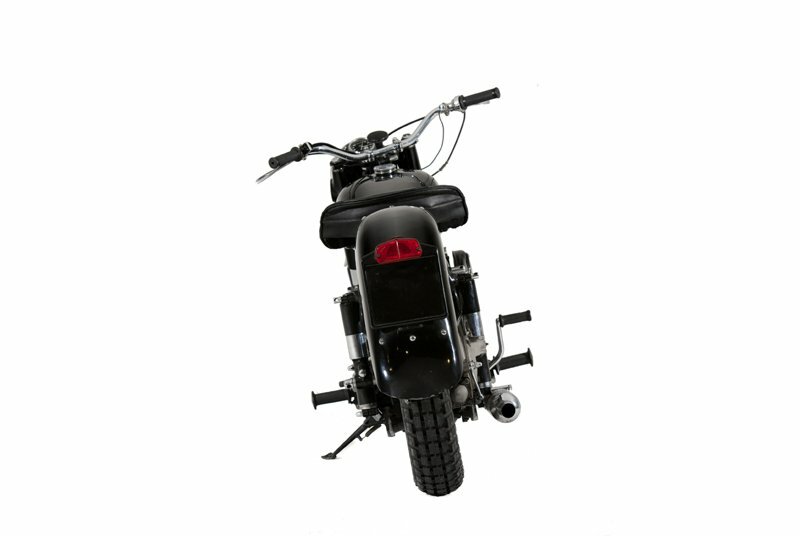 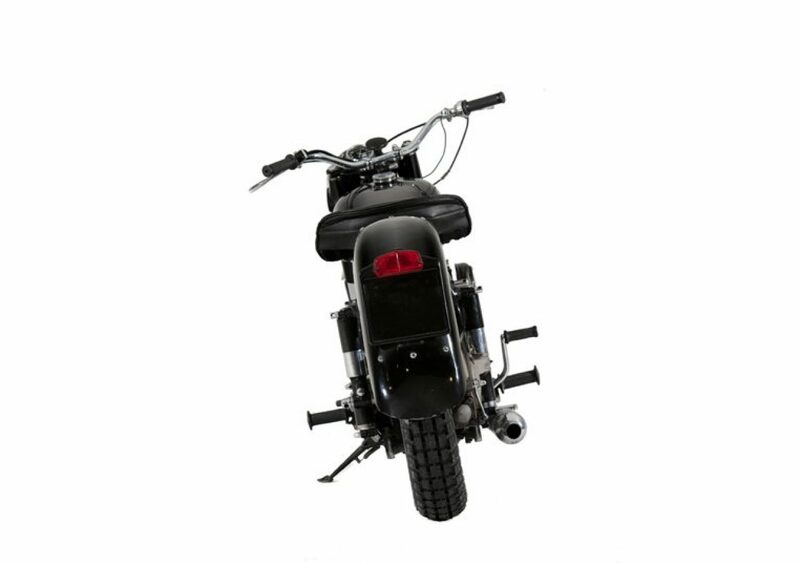 The inline engine made this technologically feasible horizontally-opposed (flat) twin engines on BMW motorcycles had already used shaft drives. 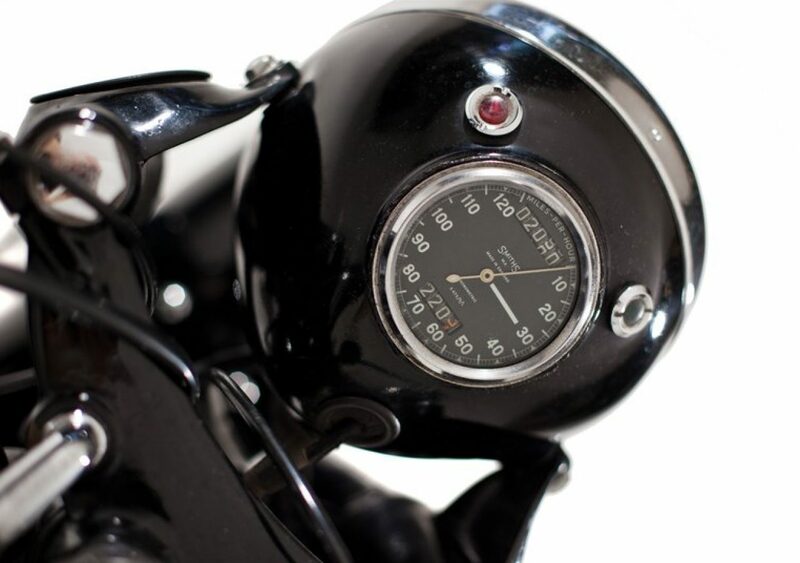 The early S7 was expensive and over engineered, which is why it is now the most sought-after and commands a premium over the S7 De Luxe.